Wicked Wonderful Words: Review: "Rivers of London"
My name is Peter Grant and until January I was just probationary constable in that mighty army for justice known to all right-thinking people as the Metropolitan Police Service (as the Filth to everybody else). 4) This book is really funny - it is written with a great sense of dry humour and keen observations about the follies of man. Peter is a man like everyone else. He comes from a lower-middle class home, has decent a-levels and modest ambitions and a crush on his sharp-tongued colleague Lesley. As it turns out, he also has a talent for magic. One day when he is on patrol in Covent Garden, a man is killed and a strange witness comes forward. A dead witness... And suddenly Peter is promoted from bar-brawl-stopper and report-filer to appretince to the last police wizard and a whole new world opens up as he has to learn how to interview ghosts, deal with turf wars among minor deities and create light with magic. A lot to handle for a guy who didn't believe in anything supernatural. Not to mention that he also has to investigate murders and woo Lesley. 1) The dry humour. I found myself laughing, chuckling and having an altogether great time while reading this book. Perfect for a day when you need to smile. Elegant jokes and fun observations. 2) Peter. Great character who develops and changes as the plot unfolds. Very easy to like and his relationship with his parents is a great side-story. 3) The scenery. I love London and this book evokes the city very well. 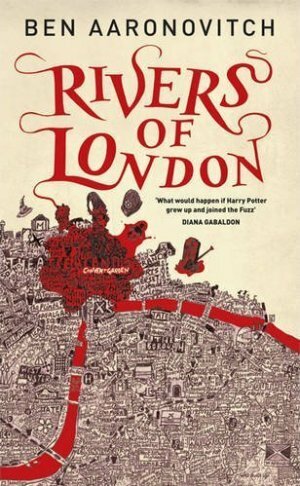 4) The minor characters, especially the rivers deities such as Lady Tyburn, Berverley Brooke and Mama Thames. Talk about dysfunctional families and strong female characters! 5) The plot. The crime/whodunnit part of the story actually works quite well and there were twists and turns that I hadn't seen coming. Read it if: You'd like a bit of adult Harry Potter. If you love London. If you ever considered joining the police. If you believe in magic. Stuck in a Book reviewed this a couple of weeks ago, and I knew I needed it. This review confirms it. I love humor when done well. Sounds great, and a great review. Thanks! I don't know why, but I was thinking, "oh that's nice, but I don't think I'll bother with it" right up until the last paragraph. You should have had me at the dry humor bit, and really I like this sort of fantasy-mystery. On the list it goes! @Picky: Thanks, I will have to check out Stuck in a Book's review, love that blog. @Sam: I thought so too until I bought it :-) I bought it based only on the title and the cover... shallow but it paid off. @simplerpastimes: Glad to hear it, it deserves to be read.